If you were fortunate enough to be able to visit The Metropolitan Museum of Art in New York City the last few months of 2014, you could have visited the amazing exhibition titled – “Assyria to Iberia at the Dawn of the Classical Age.” One of the extraordinary archaeological objects available to view was the House of David Stele from the 9th century BC. The year was 1993 AD. Israeli archaeologist Avahaim Biran and his team were excavating at Tel Dan in northern Israel. 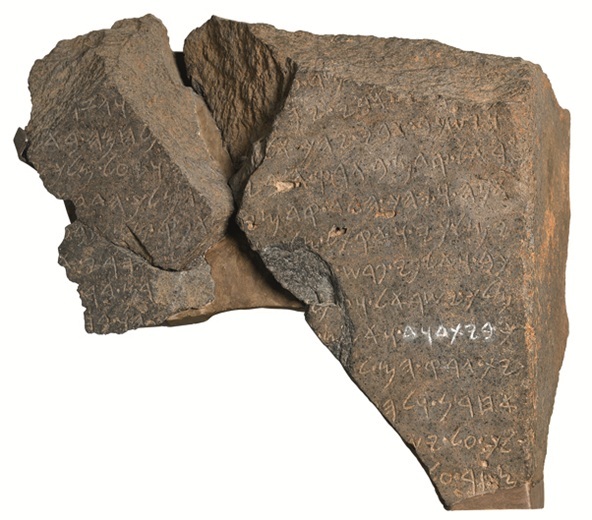 They discovered the first of three stone fragments known as the Tel Dan Stele. In lines 8 and 9 of the stele, written in ancient Aramaic, the words “king of Israel” and “house of David” are written. The stele is a commemoration of the victory of an Aramean king over two kings to the south: one a “king of Israel” and the other a “king of the House of David.” Many scholars who have studied the stele believe it recounts a campaign of Hazael of Damascus against Israel’s King Jehoram and Judah’s King Ahaziah. What is significant about the Tel Dan Stele is that it was the first archaeological evidence of the name of the Bible’s King David. However, that was 1993. My investigation into the claims of the Bible was during the first part of 1971, more than 20 years before the discovery of the Tel Dan Stele. Did that mean no archaeological evidence was available to me that would confirm the existence of King David? Miracles. What’s an atheist going to do with miracles? I didn’t believe in the supernatural, so miracles were impossible. That’s what I believed, so how could I as an atheist deal with all of the supposed miracles Moses and Aaron performed in Egypt? Was my investigation into theism and Christianity going to end in that ancient land because of my disbelief in the supernatural? The Bible story about Moses is about to get extremely supernatural. So far, except for the burning bush incident, the story about Moses seemed plausible, but now God is sending Moses back to Egypt to do “wonders before Pharaoh”. As an atheist, I saw this part of the story as myth/legend/fairytale. The rest of Exodus seemed false because it was a supernatural being commanding human beings how to live, where to go, what to do, what to believe. How in the world could I investigate something like the ten plagues and parting of the sea so the children of Israel could escape from Egyptian soldiers? How could I investigate the people of Israel wandering in the desert for 40 years? How could I investigate a man named Joshua leading the wandering Israelites from the desert into Canaan to fight against foreign peoples and capture cities and land for themselves? How as an atheist who vehemently denied the existence of God and the supernatural could I possibly investigate this subject honestly and objectively? I turned to history and archaeology to see what answers might lie there. 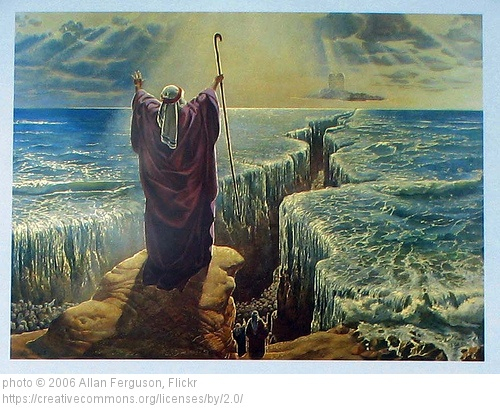 Moses never existed … or if he did, he was only a minor historical character and most of his life was expanded by legend. When I was an atheist I believed Moses never existed. The Jews made him up to bolster their religion. However, if someone by the name of Moses really did live he wasn’t anything like the stories about him in the Bible. No way he called down the wrath of God on the Egyptians. No way Moses raised his hands in the air and a sea of water split in two. No way. I used the story of Moses leading Israel out of Egypt as a major proof that the Bible was full of myths and fairy tales. It was a favorite discussion on my radio talk shows in the late 1960s and early 70s. Adam and Eve, Noah and the Flood, Abraham leaving Ur for Canaan, Joseph in Egypt, and Moses leading Israel out of Egypt were stories I threw at Christians whenever they called about the Bible and Christianity being true. There was absolutely no evidence for any of those stories, so why should I believe anything in the Bible. Everything in the Bible was untrue. That worked pretty well until I met some Christian apologists. They answered my mocking and skepticism with evidence … lots of evidence … so much evidence that I was no longer able to say the Bible was full of myth, fairy tales and lies. I didn’t know where the investigation would lead me, but I knew there was more to the Bible than I thought. 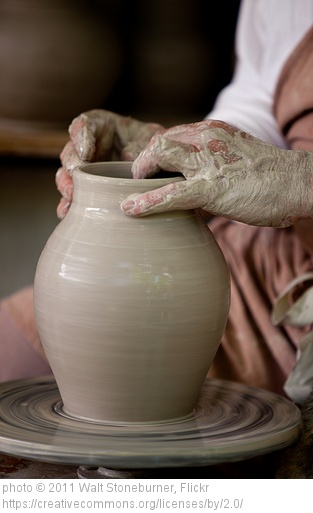 In the last part of our study we looked at how God used the craft of making pottery to explain His relationship to His creation. Christians, this is for our understanding. As unbelievers attack the teachings of Christ, we understand the attack at its source. Satan has done everything in his power to deceive, manipulate and confuse the masses of humanity from the very beginning. This brings us then to the core of the difficulty between believers and unbelievers – the analogy of being in language construction. We speak of God as being the “Supreme Being” and ourselves as “human beings.” What does that mean and how do we overcome the attack against the clear teachings of God’s Word concerning God and humanity? As I mentioned in the last post, the Bible story about Abraham became a “possibility” for me as an atheist based on the archaeological evidence available during my 1971 investigation into theism and Christianity. It seemed from what I was researching that Abraham, Isaac, Jacob and Jacob’s sons “could” have lived during the time frame the Old Testament claimed in the locations it described. 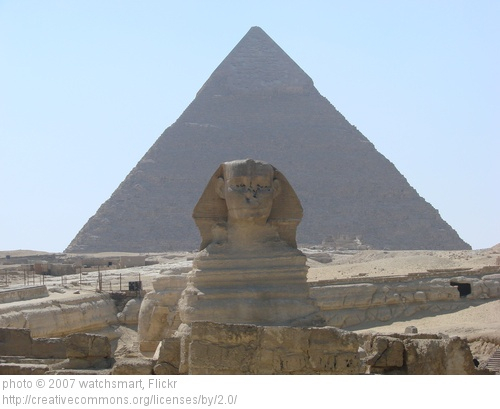 I continued to ask questions about the patriarchs and discovered more evidence from archaeology. Each discovery seemed to lend more support to the credibility of the writings in the Old Testament from an archeological perspective. Archaeologists had found evidence for many of the ancient cities mentioned in the Bible with details about how people lived, worked and worshipped that matched much of what the Old Testament writers included in the process of describing how the Hebrew patriarchs lived and how they interacted with people from other people groups and nationalities. Rather than the Bible being (as I supposed at the time) a fairy tale filled with legends and myths, I began to see it as history. I had a lot more researching to do to see if the history it presented was credible and believable, but the important point for me was that I was seeing the Old Testament as an historical document that could be tested against other historical documents and against the discoveries of archaeology.